Finally the SPL enjoys some time in the European spotlight. 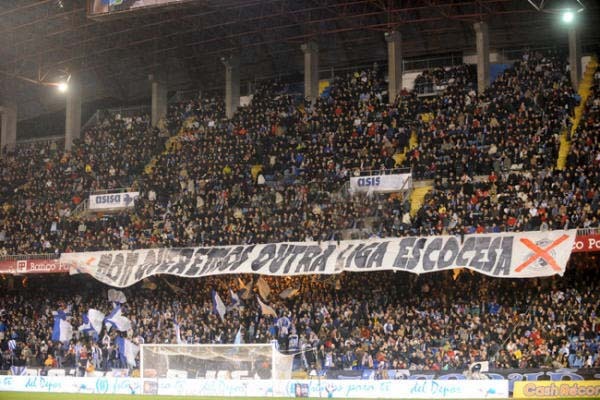 The picture above is apparently of a banner unveiled by the Deportivo La Coruna fans on Saturday night as their team lost 4-0 at home to Barcelona. "We do not want another Scottish league." Thanks to @Jambizzle for sending me this.